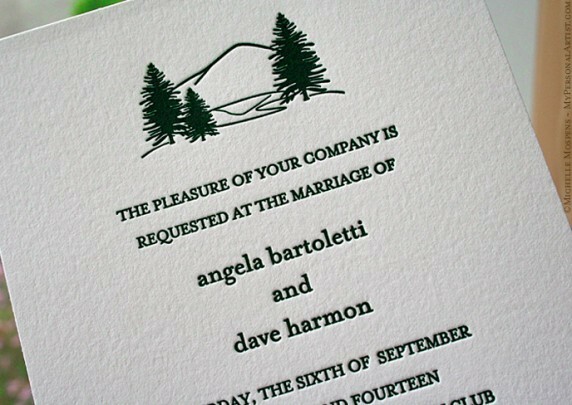 We are delighted to show you our three newest letterpress invitations. Looking for nautical letterpress invitations with a seashell motif? 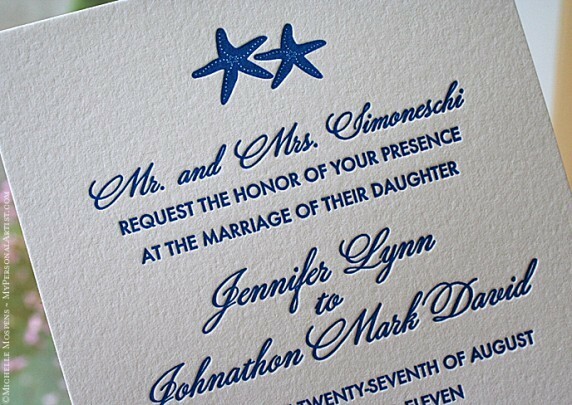 This invite will be shore to impress your guests! Love mountains? This letterpress invitation boasting Michelle Mospens original hand drawn mountains may PEAK your interest! Beach chic! Our ORIGINAL, STAR-WORTHY starfish letterpress wedding invitations boast adorable starfish illustrated by Michelle Mospens. 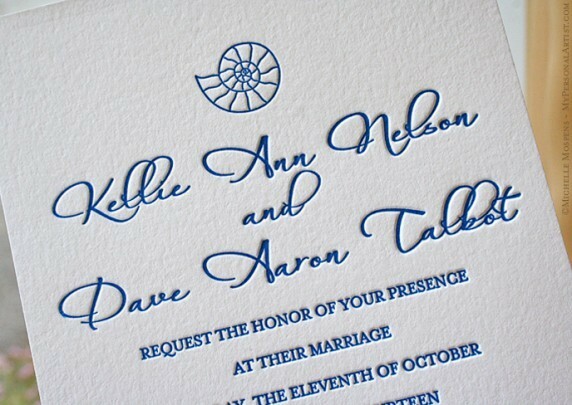 Perfect for your destination or beach wedding!